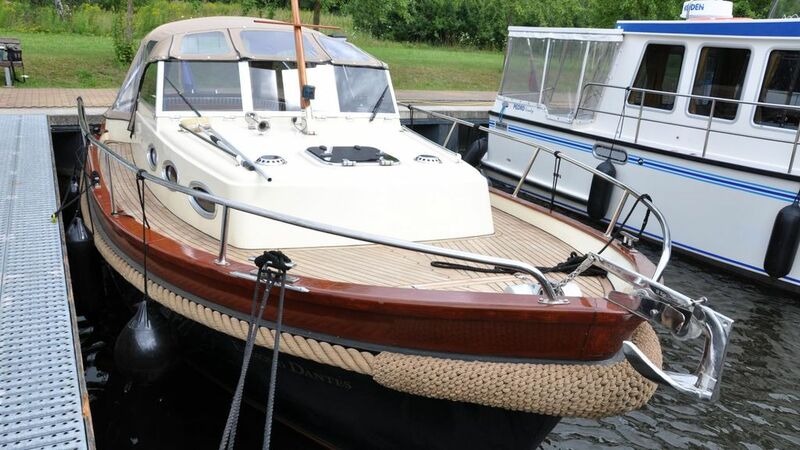 Yacht Antaris Cruiser MK 825 for 2 + 1 persons. Our "Edmond Dantes" offers exquisite driving pleasure on a comfortable boat. Like all our boats, the Antaris Cruiser MK 825 maneuvers perfectly. It is equipped with an outside steering position and a quiet 65 hp Vetus diesel.